Stilettos & Grace: Do you Nooma? Nooma. I wish I could post one of their full videos here. I wish I could post all of their videos here. Thought provoking and (if you let them sink in) life changing. It's interesting the controversy that can be so easily created in Christian culture. We eat our own. We devour those who do something unexpected, something different than what we think should be done. Here is a man challenging people to dive in. To think. To go deeper. To get down into the foundation of who Jesus is and live our lives for the purpose He has called us to. Here are a few previews. Just a taste. Some of my favorites. Now, not all of you are going to run out and buy these for your personal collection. But, if you want more, check with your church. If you live by me, come on over for coffee. We'll make it a weekly thing. We'll watch a different video and talk about it each week until we've gone through them all. And if you don't live by me, and if you don't have a church family... find one. Find one where you can be a part. Find one where you can sit with others, share life, have coffee together, and Nooma. I watched the "rain" one a couple weeks ago, it's brilliant, different, we loved it! People in our church are lending it and passing it around the different bible studies and what not. Thank you for putting the previews for the other ones up as well. I love Nooma Ang!!! WOW! I am so excited you are on blogspot now....I was one of those who checked your myspace randomly because I was to impatient to wait for it to log in etc... I missed you@! 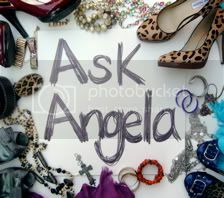 Love ya Angela.........I can't believe how much knowing you has engrave such an impact for God on my heart! Thank you for following God and sharing your life online with us! YOU ROCK ANG! Nooma is great- we watch them at our young adult meetings. We're not watching them in order, but I think my favorite so far is "Breathe". That's just the one that I've thought of over and over again since watching it. I saw the new "Name" one, which was also very good, two weeks ago at the national youth workers convention in San Diego. Wow....I mean WOW. Now this is my kind of topic....my utmost FAVORITE kind of topic! To be able to sit down and chat with a friend on how we want a deeper relationship with God will always lure me in and bring me closer to you (or a friend). If I lived down the street from you trust me I WOULD be that friend coming over with Starbucks to your house when the kids are in school and sit with you to watch these videos. Our disscussions would be deep and prayer time would be intense. The rain one got me all chocked up. It was a beautiful illustration of God carrying us through our trials. We may get a little wet along the way but he is faithful to carry us all the way to the end. Thank you for sharing thses videos because I have never seen them before. Why tease me with an offer to come over and drink coffee and talk about the passion of our souls? You are such a Passion-Soul-Teaser. I am a fan of Nooma-my mom got me hooked on them actually. I am shocked Emmy didn't already know about them-they are so up her alley!